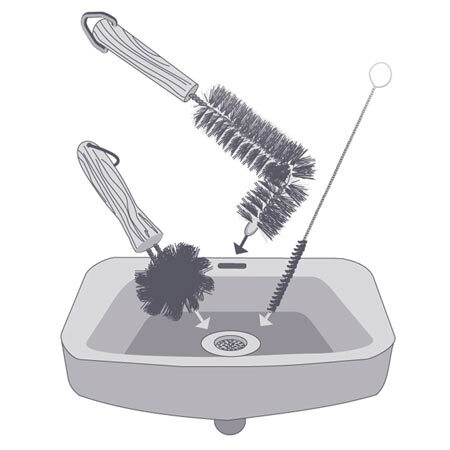 A thorough cleaning of your sinks for example will require the use of all 3 instruments. But each one can be used separately according to the needs. To reach the beginning of the pipes and remove sometimes smelly deposits. allows you to scour dirt at the top of the plughole, ideal for regular cleaning and preventive maintenance. The ultimate tool, an open sesame to attack evil at its roots: the blockage composed of a revolting agglomerate of mucus and other semi-sedimented secretions, the whole lot reinforced by a real net of hair residue. Once the blockage is removed, the water can flow again perfectly which stops the stagnation of dirt and avoids the formation of limescale. The operation is indeed unappealing, even difficult to bear for some, but it is essential for the maintenance and the proper functioning of your pipes. Following several decades of consumerism and excessive appeal from marketing, it seems we have forgotten that some simple and regular actions are often more efficient than the miracle formula promised in unscrupulous advertisements. Your sink is blocked? What is your first reaction? Most of us run to the hardware shop to buy a drain clearing product, a concentrate of chemical products, indeed efficient but ultra polluting for the environment, and moreover dangerous for our children. This costly process is conclusive in most cases, but at what price for your wallet and the environment? Worse: you have been noticing for a long time now that the water drains more slowly and that the pipes make a jolly gurgling noise. But as a good brainwashed consumer, you tell yourself you might as well wait for the sink or the bath to be completely clogged up, because the chemical industry Big Bertha will solve the problem. In most case, it is due to a mixture of hair, soap and other substances naturally present at the bottom of sinks. The simplest method to solve this problem is to remove the obstruction, isn't it? You can thereafter refine your plumbing work by perfectly scrubbing the visible parts thanks to the plughole brushes with help from cheap natural detergent products and just as efficient: white vinegar and sodium bicarbonate. 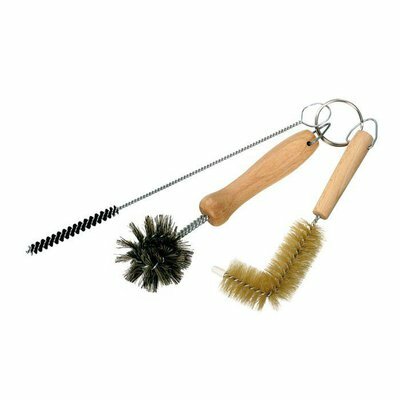 good specialized tools: small personal plumbing utensils designed with natural materials according to traditional methods, that provide pleasure even if the task is thankless. original: not that common to fond a mini plumbing set in FMCG (fast moving consumer goods) outlets! environmentally responsible: with its manufacturing and its function, let's go back to basics, this will contribute to our (inevitable) re-education.